Abu-Bakr Al-Hamdaani discusses a case as an example of abrogation, in his book الاعتبار في الناسخ والمنسوخ من الآثار, pages 105-106. There have been reported several seemingly conflicting narrations about whether waking up soiled prevents one from fasting. Aby-Hurayra reported two conflicting ones and gave two opposite rulings. `Aa'isha and Umm Salama both narrated that the Prophet (PBUH) said it happens to him and he simply takes a bath and then fasts. Ash-Shaafi`i chose the route of preponderance of evidence. 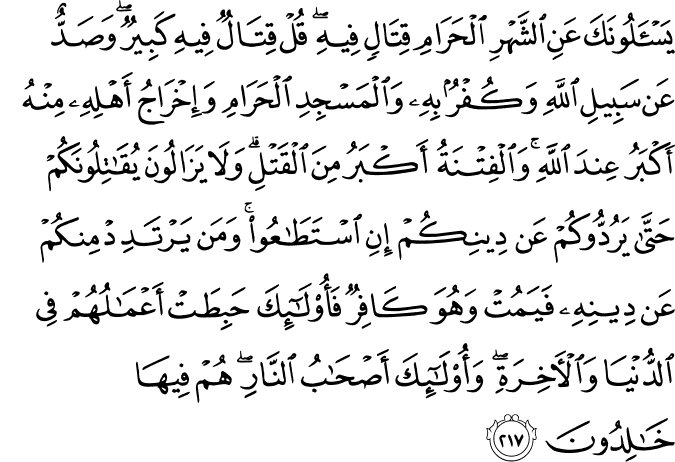 He gave more credence to the reports by `Aa'isha and Umm Salama, which support 2:187. IMHO, this is another case of a misunderstanding corrected by the Quran and by the Prophet (PBUH). The hadeeths that imply otherwise are either less authentic or misconstrued. The example of fasting on the 10th of Muharram (`Aashuraa') is one example often cited in the literature to show that abrogation did happen. Abu-Bakr Al-Hamdaani follows up on that by citing, in his book الاعتبار في الناسخ والمنسوخ من الآثار, page 111, hadeeths that state that the Prophet (PBUH) used to fast three days of every months and ordered Muslims to do the same. But then another hadeeth, narrated by Shu`ba, makes it clear that the order was a recommendation. Despite that, Al-Hamdaani entitles that discussion as an abrogation by the Ramadhaan fast. If it were true abrogation, then we cannot anymore fast three days of every month, but there is no evidence to that. as abrogating the practice of the Arabs of entering houses and orchards only from their back doors when they embark on pilgrimage or Umra (ritual visit). That was thought to be a gesture of respect. Seven tribes were exempted. This is clearly another flawed example to prove a valid point. The practice of the Arabs, even when condoned by the Prophet (PBUH) does not constitute a divine or prophetic order, therefore when the Quran abolishes it, it is not abrogation, but correction. Abu-Bakr Al-Hamdaani, in his book الاعتبار في الناسخ والمنسوخ من الآثار, pages 117-118, discusses an interesting event which he regards as a valid abrogation case. Ddabaa`a bint Az-Zubayr was going for the pilgrimage but got sick. The Prophet (PBUH) advised her to make a qualified intention for pilgrimage. He told her to say, "O God, it is pilgrimage that I want and to it I'm headed. If You facilitate it for me, it is pilgrimage, but if I something holds me back then it is Umra (ritual visit)." But Al-Hamdaani says that narration is not established. Again, I don't see abrogation here. Where does 2:196 say that the intention for pilgrimage may or may not be qualified? 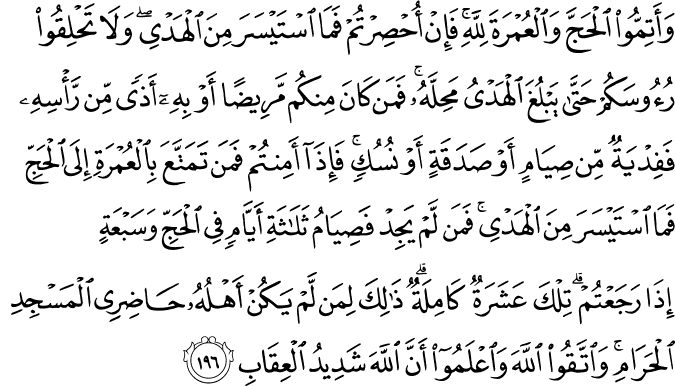 And where does the narration by Ddabaa`a contradict what 2:196 about availability of sheep? Doesn't 2:196 explain that when one intends pilgrimage but circumstances interfere, that one has many work-around solutions? That means that the intention for pilgrimage does not need to be qualified or contingent, but that is not the same thing as saying that making it contingent is prohibited. Abu-Bakr Al-Hamdaani, in his book الاعتبار في الناسخ والمنسوخ من الآثار discusses the widow's mourning period on pages 142-144. He mentions that scholars have all agreed that the period is four months and ten days, but they disagreed on whether she must stay at her late husband's house or may stay wherever she wished. Of the former opinion were `Uthmaan ibn `Affaan, Al-Layth ibn Sa`d, Ash-Shaafi`i, Ath-Thawri, Abu-Haneefa and his fellows and the Kufi scholars. Of the latter opinion were Ali, Jaabir ibn Abdillah, `Aa'isha, `Ataa', Jaabir ibn Zayd and Al-Hasan Al-Basri. The reason for this split is that there are two seemingly conflicting hadeeths about whether a widow may leave her late husband's house. One hadeeth, narrated by Ya`qoob ibn Zayd about Jameela bint Abdillah (not very authentic), says that a widow may leave during the day but must come back to the house at bed time. Another hadeeth, narrated by Al-Furay`a bint Maalik, says that she must not leave the house until the term ends. The report actually says that the Prophet (PBUH) initially let her leave, but then called her back to order her not to leave. Al-Hamdaani sees that as evidence that a ruling may be abrogated prior to its being carried out. I say not any ruling. The Prophet (PBUH) was human and he may have changed his ruling on second thought. Such cannot happen with the Quran. Lastly, Al-Hamdaani quotes Ibn Abbaas saying that 2:240 abrogated the second ruling of the Prophet (PBUH) and thus returned him to his initial ruling, i.e., a widow can spend her mourning period wherever she wished. His argument is the phrase غير إخراج in the verse. abrogating the practice of adoption which was practiced in Arabia and followed by the Prophet (PBUH) when he adopted Zayd ibn Haaritha. Abu-Bakr Al-Hamdaani gives that example in his book الاعتبار في الناسخ والمنسوخ من الآثار, pages 144-146. It is important to notice, however, that the abrogated practice was to name the adopted child after his or her adopting father, such that inheritance and family laws apply to them. Providing a loving home and caring family for an orphan child was not abrogated, rather it is now done through fostering. And fostering an orphan is very highly praised in the Quran and the Sunna. There is a common thread here in that what is being "abrogated" was an action by the Prophet (PBUH) rather than a rule set by him. Although both constitute sunna, an action could simply be following the default permission rule that "things are allowed unless there is a divine statement to the contrary." In those cases, no rules are being abrogated since a verse that brings a prohibiting statement still leaves the default permission intact, it just makes it lead to a different conclusion. For instance, the Prophet (PBUH) used not to fast in Ramadan before the Quranic command came, but that does not mean that the Quran abrogated a sunna of not fasting in Ramadan. Somehow, there seems to be eagerness, similar to that of eagerness to solve puzzles, that makes some people seek out instances of abrogation. JMHO. At which point, the Prophet (PBUH) took the prisoners and divided the booty. Al-Hamdaani cites this story as evidence that the Quran abrogates the Sunna. Perhaps the Prophet (PBUH) understood the prohibition to be unconditional and the verse explained that there are extreme conditions that may warrant such a fight. he began to divide up only a fifth of a fifth of the booty. Al-Hamdaani then says that the Imaam now may divide up the shares designated for God and the Prophet as he pleases. I can understand why the share designated for the Prophet (PBUH) may now be redistributed, but how can anyone rule that the share designated for God, i.e., charity, be redistributed?! See also the post where we discussed the abrogation claim of 8:41/8:1. Abu-Bakr Al-Hamdaani tells a story that followed the treaty of Hudaybiya, in his book الاعتبار في الناسخ والمنسوخ من الآثار, pages 172-173. In one narration, the terms of the treaty required that if any man from the polytheists of Mecca flees to Medina, the Prophet (PBUH) will have to send him back. 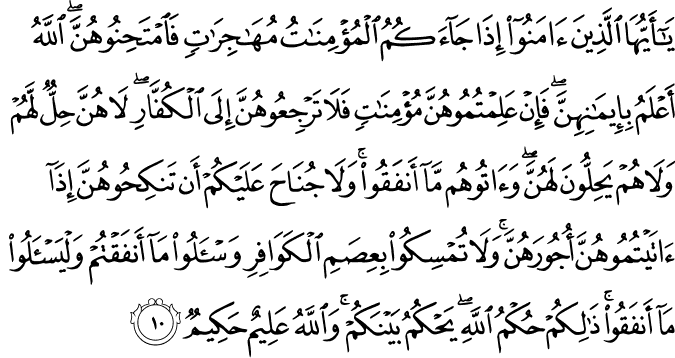 But another narration says "if any one.."
Scholars who supported the second narration of the Hudaybiya treaty terms, see this action as a contradiction to the treaty and, therefore, it means to them that the Quran abrogated that agreement. These scholars have said that no treaty shall include terms that are contradictory to the teachings of the religion and such term shall therefore be void. Their opinion is supported, Al-Hamdaani suggests, by an authentic hadeeth, reported by Al-Bukhaari, in which the Prophet (PBUH) said, "Any condition not in the Book of God is void." Commenting on that, Al-Hamdaani says that it goes to show that the Prophet (PBUH) did make mistakes but it was not allowed to let the mistakes pass. On the other hand, those who support the first narration of the treaty terms see the action of the Prophet (PBUH) not in violation of the treaty at all and complying with the Quran. Al-Hamdaani mentioned that the first narration, specifying men, was reported and rated authentic by Al-Bukhaari. 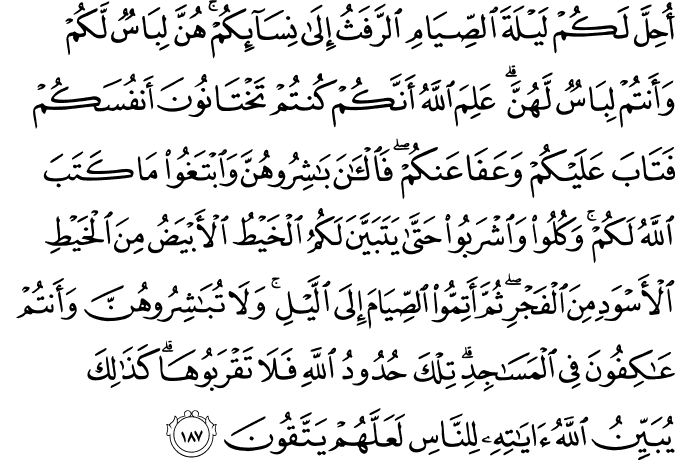 Al-Hamdaani did not authenticate the second narration.